Since 1967, Fermilab has worked to answer these and other fundamental questions and enhance our understanding of everything we see around us. 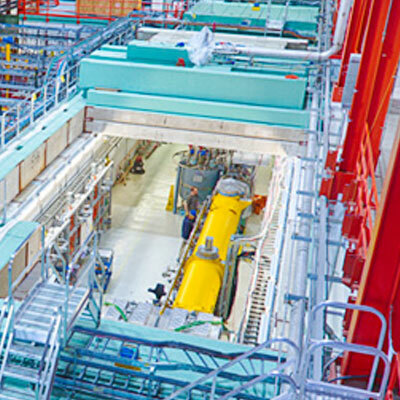 As the United States’ premier particle physics laboratory, Fermilab works with the world’s most advanced particle accelerators and digs down to the smallest building blocks of matter. It probes the farthest reaches of the universe, seeking out the nature of dark matter and dark energy. Fermilab’s 1,750 employees include scientists and engineers from all around the world. Fermilab collaborates with more than 20 countries on physics experiments in the United States and elsewhere. Fermilab’s 6,800-acre site is located in Batavia, Illinois, and is managed by the Fermi Research Alliance LLC (FRA) for the U.S. Department of Energy Office of Science. FRA is a partnership of the University of Chicago and Universities Research Association Inc..
Fermilab’s vision is to solve the mysteries of matter, energy, space, and time for the benefit of all. To learn more, visit the Fermilab website.